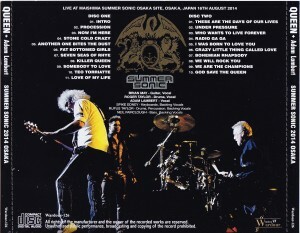 Recorded: Live at the Maishima Summer Sonic Osaka Site, Osaka, Japan 16th. August 2014. Comments: Looks like a nice 2cd (silver pressed) bootleg. As far as I know a complete show. Some copies included this seperate BONUS dvdr. Live Osaka, Japan 16th. August 2014. Same as cd. but I can't confirm this. Might just be the bonus..?? I have no info about this Osaka show was pro-filmed. Review from the info page on the net. On this day, from Old fan to know the playing days of Queen, age and gender, nationality, such as representing the breadth of the base of Queen often seen to overseas fans and fan, young would have been born to death after Freddie it was the most in the large number of people on the day of course many fans it exceeded gather. Such thinking is really great live much disappears also speck who had negative thoughts that saying that I Nante queen with no Freddie Toka …, vocals Nante I restarted too late even if you see live this live. It was a live one and a half hours, etc. Solo of their songs and have been cut significantly as compared to live it up to two and a half hours of overseas, but it was as a result to live overflowing sense of speed in tight with a solid as a result. Full stage set almost in no way inferior had brought even compared with overseas festivals, even shortened set list, circular screen in the shape of the Q characteristic which is used in this tour also brought parable. And all songs drawn out If nothing else, and all masterpieces, is the highlight. Lesbian couples in those irresistible flow in the Old fans how the beginning of the Procession ~ Now I’m Here exactly the same as the first Japan tour of 1975. It was directed dramatic curtain covering the stage Now I’m Here that rises above a stretch if originally, but there was a happening curtain that falls before the concert at the clumsiness of the curtain before. But I can say dramatic of the opening and did not change in any way even if there is no curtain. Was followed by Now I’m Here is classic Stone Cold Crazy hard rock era of the early! Stunning chorus work in powerful performances lively. Songs that have not been played in Japan with Paul Rodgers of last Seven Seas Of Rhye and Stone Cold Crazy, this also including, for me focused on songs of hard rock era especially early in Old fans it was nice place. Music selection for his conscious Japan, Teo Torriatte, I Was Born To Love You thanks to Surprise. 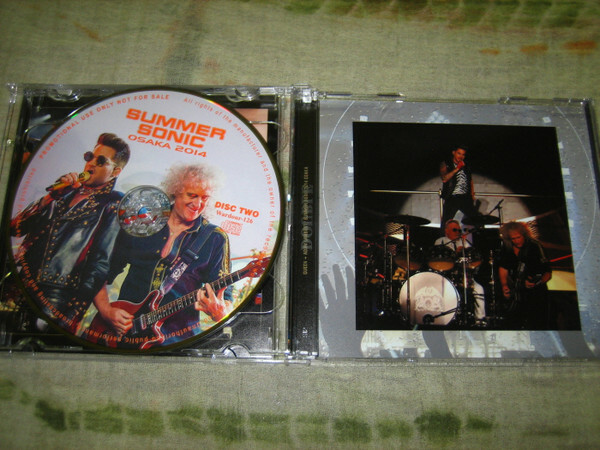 Of course, these two songs are not played in Australia tour of Japan after the concert tour of North America first. The I Was Born To Love You high visibility, there is also a feeling that has become a new representative of the Queen song now under the influence of the TV drama, (tour premiere this day Teo Torriatte is) received large around the young fan. 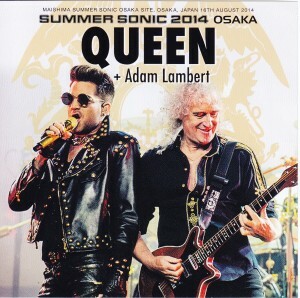 Who Wants To Live Forever and Somebody To Love song selection of Osaka not only unveiled in Tokyo the next day. Classic Somebody To Love to hear in the vast outdoor venue is a special, you can produce a large peak in the first half of the concert. Rendition of the mirror ball and leather rays tones and blue in the Who Wants To Live Forever had to something more impressive this song epic effective. Rendition of the emergence of Freddie in the Love Of My Life By touching things, there were also fans lacrimal gland is collapsed. Rendition of the same even Bohemian Rhapsody, it was the highlight of the best day, including the sense of scale of this masterpiece. Video flows through the screen at These Are The Days Of Our Lives Roger sings those also containing and off-shot footage and how the arrival of the first visit to Japan at the time of 1975, it was also used in overseas performances, but this Japan at it can be said with a more special meaning in that it flows. Upsurge of the field to the end be fierce from Radio Ga Ga around, continuous peak exactly. Two songs We Will Rock You in the encore, We Are The Champions is representative of the Queen song not finished Nonetheless promise, not to this song again. The two songs that everyone knows makes me feel the excitement of the best on this day! So much, I think is no so much of that live album you to impress your hand listen. Together with the DVDR of bonus, enjoy plenty, high quality document title of realistic scale the atmosphere of the day.